What is the nature of the crisis in Cape Town? What are the causes and possible solutions? ​An overview of global patterns and trends in the availability and consumption of water, including embedded water in food and manufactured goods. Watch this video and take notes on where we get fresh water from and how it is used. Make sure you have data that can be converted to simple graphs. What is the difference between blue, green and grey water? How is water use different in HICs/LICs? What are the key points made in this video? ​Explain them in your own words. How many LITRES of water does the average American use in a year (you'll need to find a way to convert US Gallons to litres)? How many litres is that each day? If a bucket of water holds about 10 litres of water, how many buckets of water does an average American use each day? Comment on this; does it surprise you (it should!)? Why? What is meant by "hidden water"? What is meant by "Blue water", "Green water" and "Grey Water"? What are the problems if water levels fall below critical levels in rivers? What is the difference between physical and economic water scarcity? Which areas of the world experience physical water scarcity? Name countries and continents and consider lines of latitude. 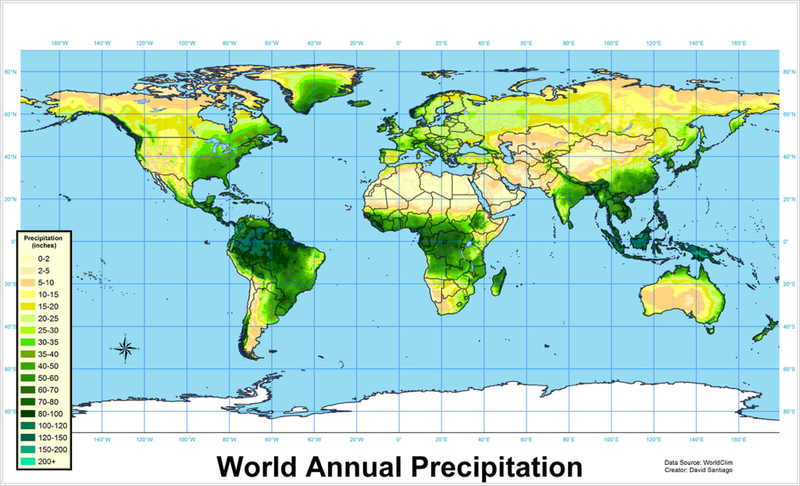 Study the map of world precipitation patterns: what do you notice about the level of precipitation in these areas? How does this help to explain the physical water scarcity? Which areas of the world experience economic water scarcity? Name countries and continents and consider lines of latitude. 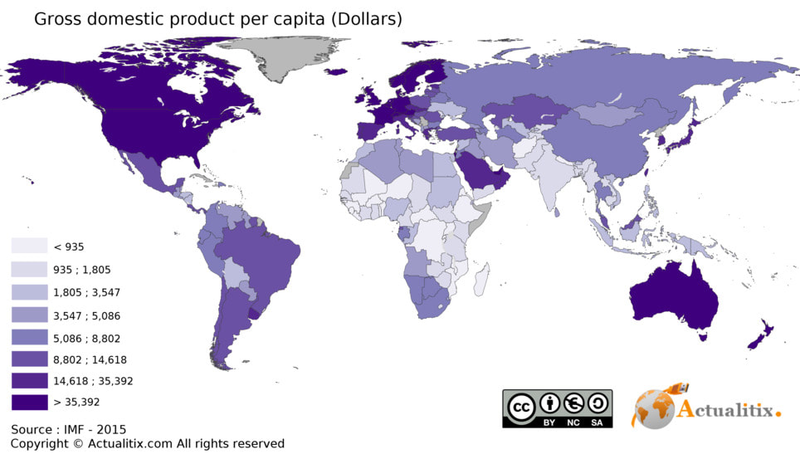 Study the maps of world precipitation and wealth: what do you notice? How does this help to explain the physical water scarcity? Why do you think the areas in blue do not experience much water scarcity? Why are there no estimates for the areas in grey? There is more than one answer here - name areas and suggest a reason. What role has population growth played in water insecurity? 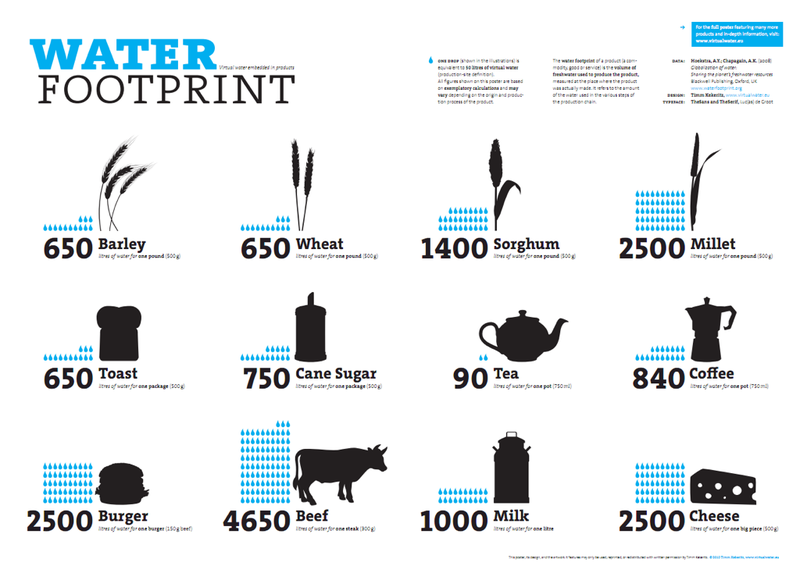 Use the data on page 247 of your book to create a graph or diagram to show the world's water budget. To what extent do increases in water demand mirror population change? What other factors have influenced demand for water? Why do amounts of embedded water in a product vary from country to country? Illustrate this with examples. Explain what is meant by "exported drought". 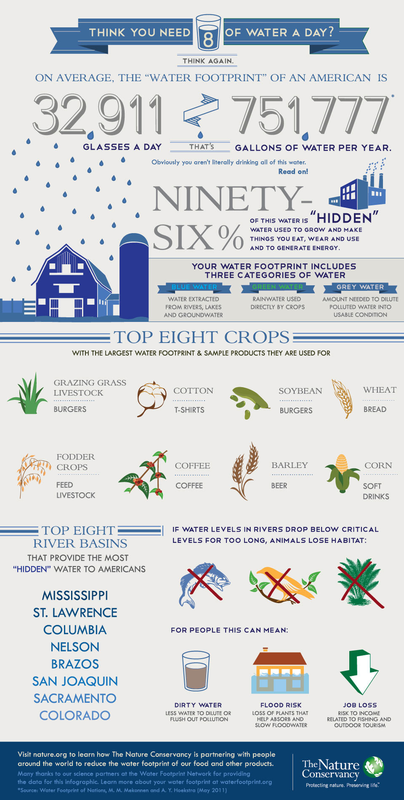 How is water scarcity different from aridity or low rainfall? Task 1 – Using the file above, take notes on the four main sources that create demand, namely agriculture, production of energy, industrial uses and human consumption.